God Mode in Windows 10: – Windows 10 offers a feature known as God Mode for people who love to customize their device. God Mode is a customized form of Control Panel. 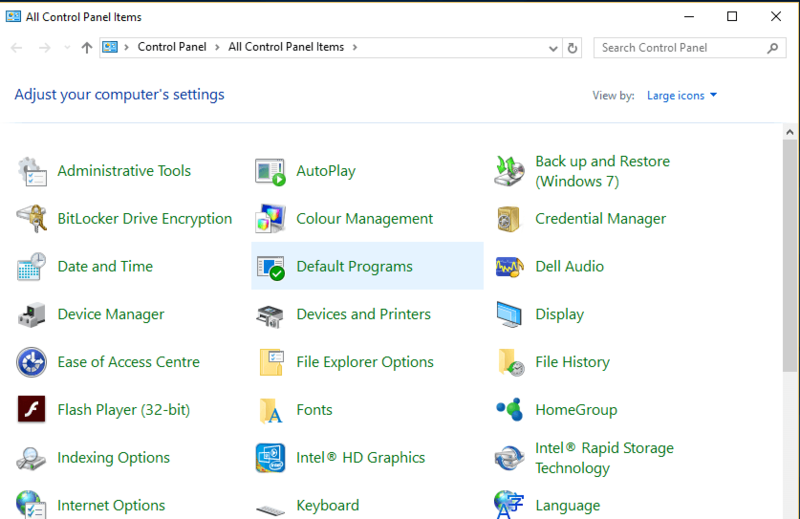 The image below shows what Control Panel looks like. Right-click anywhere on the desktop. Choose New followed by Folder. This creates a new folder on the desktop. 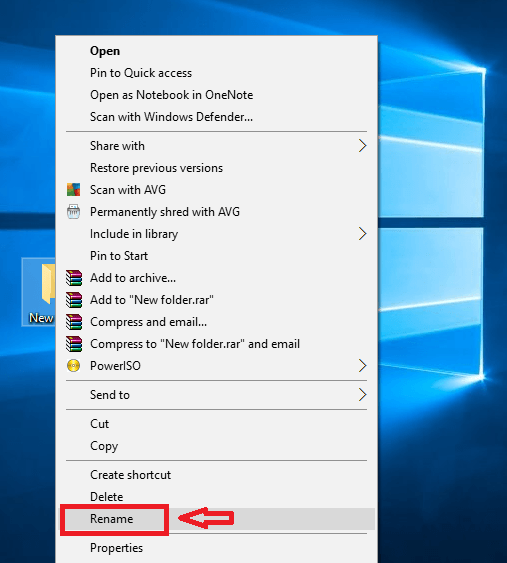 Right-click on the new folder created and click Rename. For any other name, alter the “GodMode” part of the name. 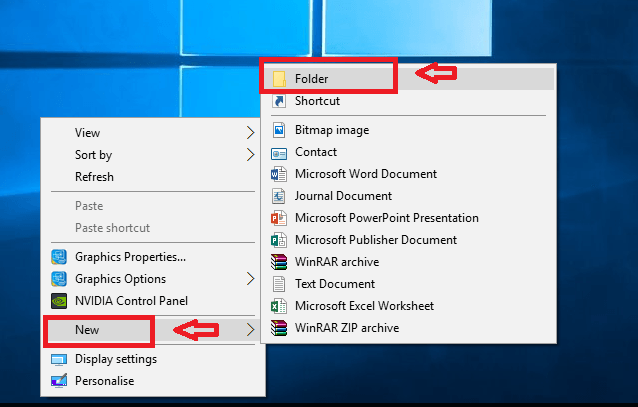 Click on the folder created. When it opens you can see the Control Panel as given in the image below. 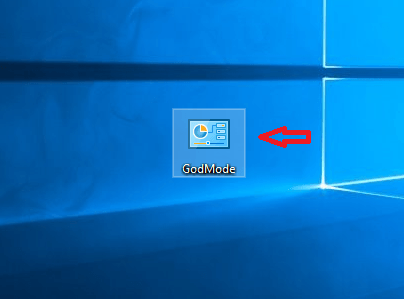 If you don’t want the GodMode anymore, it can be removed by simply deleting the folder created. If you are a person who likes to see all the Settings in one UI altogether, this is the feature you shouldn’t miss out. 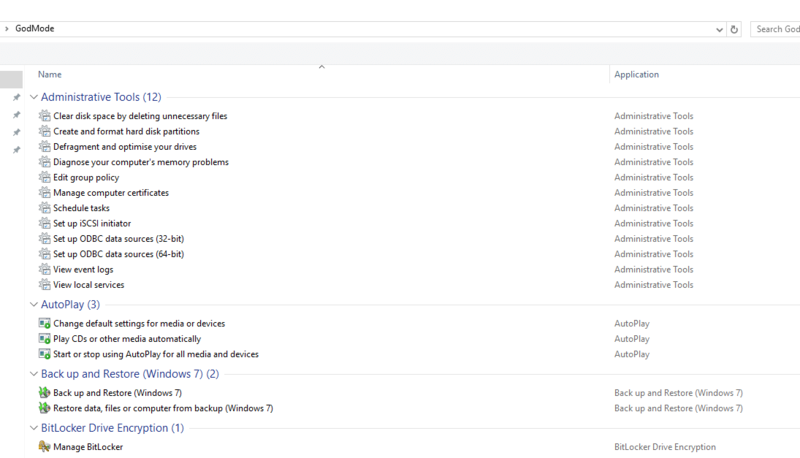 God Mode saves considerable amount of time bringing all settings options under one screen. Go on and try it out!